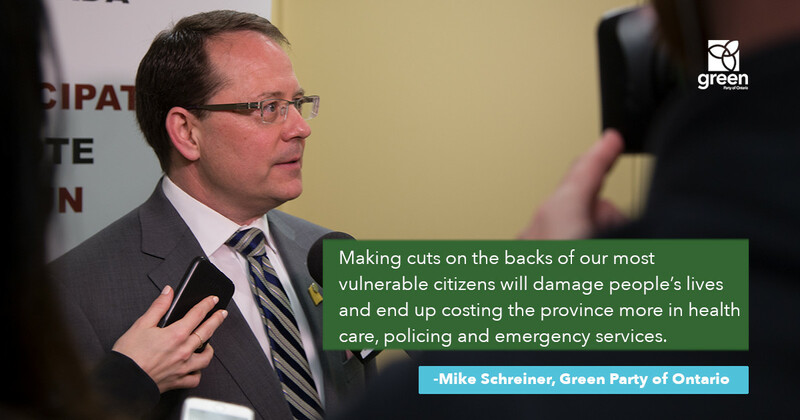 GUELPH, ON — On the steps of the West Willow Village Neighbourhood Group, Green Party of Ontario Leader, Mike Schreiner, outlined a vision for a giant leap forward to tackle poverty in the province. 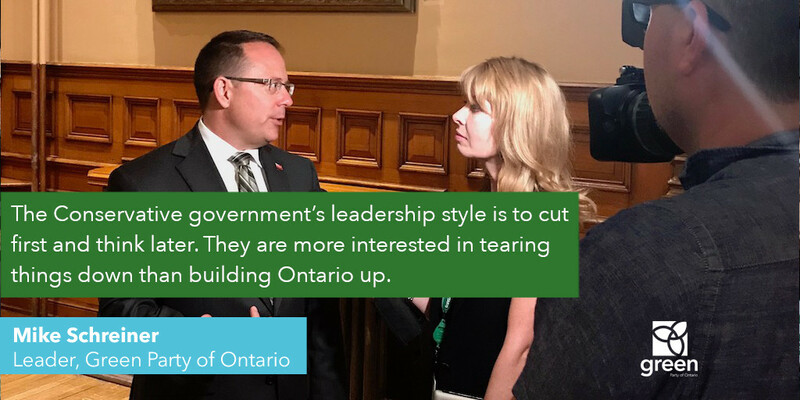 “Our world is changing and our social safety net programs need to adjust to new realities, where upwards of 32% of Ontarians are in situations of precarious labour. 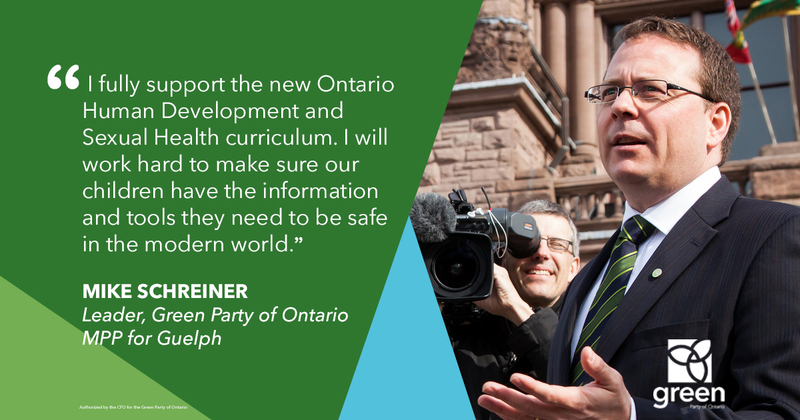 I am here to announce our plan for a Basic Income Guarantee – the most effective and efficient way to eliminate poverty,” said Schreiner. The governing Liberals introduced a BIG pilot last year for 4,000 Ontarians, but left everyone else on inadequate social assistance programs that see them living well below the poverty line. 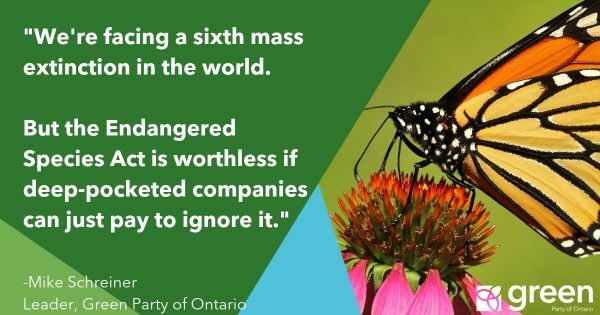 We need action now. The Green Party would immediately increase social assistance rates to 75% of the low-income measure in the first year, and 100% within four years. 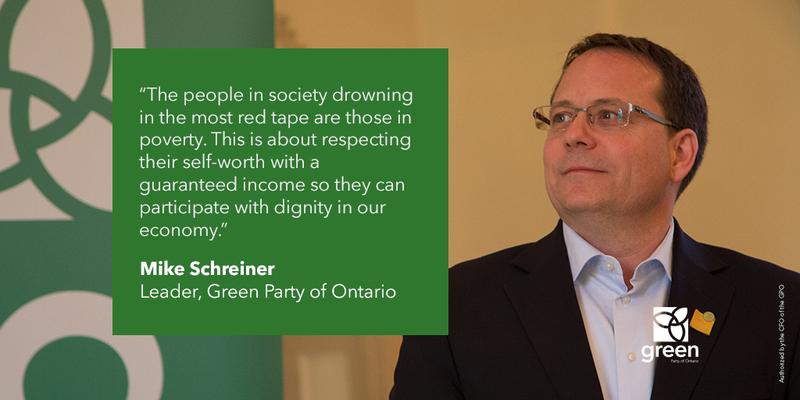 “In the last 15 years, we’ve seen a 26% increase in the number of Ontarians living on a low income. That tells me we need to do better. But research shows an assured income like our Basic Income Guarantee also saves money in healthcare and decreases the burden on our criminal justice system. It’s part of our preventative approach towards building healthy, inclusive communities” said Schreiner. The program gives economic security to young people, entrepreneurs, and the middle class who are starting a business or upgrading their skills. 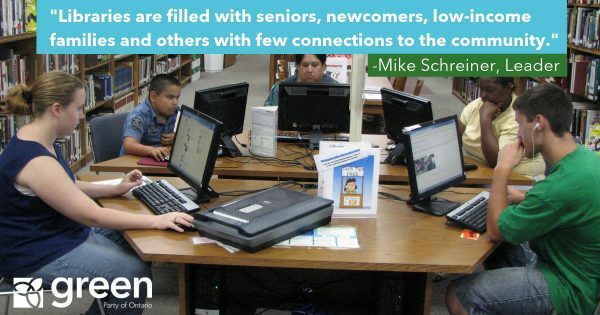 It also eliminates the onerous bureaucracy that disadvantaged people are faced with to qualify for benefits. It’s time to cut red tape for those who need real support, not more paperwork, just to get by. “The people in society drowning in the most red tape are those in poverty. 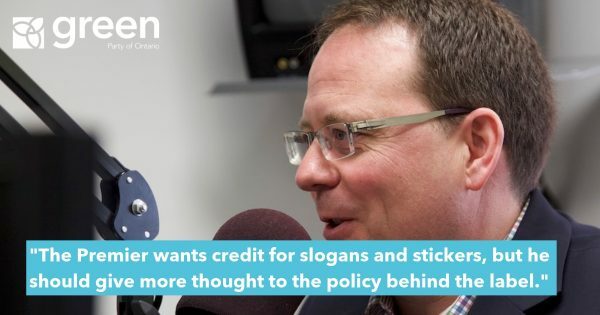 This is about respecting their self-worth with a guaranteed income so they can participate with dignity in our economy,” said Schreiner.